I. LOVE. THIS. MUSICAL. I had no idea what I was in for about ten years ago when I saw the Broadway touring production. I left more entertained by a theatrical production than I ever had before! What a gift it was to laugh so much that night! So, I have always wanted to be a part of this show, but how to tap dance around such an awful title in our community? Because the show itself is quite clean. Many Kensington actors became familiar with it and became as eager as I was to bring Urinetown to Kensington Theatre… so here we are! Our gift to you: Get your Brecht on and prepare to laugh and have the best night ever with us in Urinetown… the musical! Winner of three Tony Awards and we are convinced it’s being produced in the smallest venue ever! 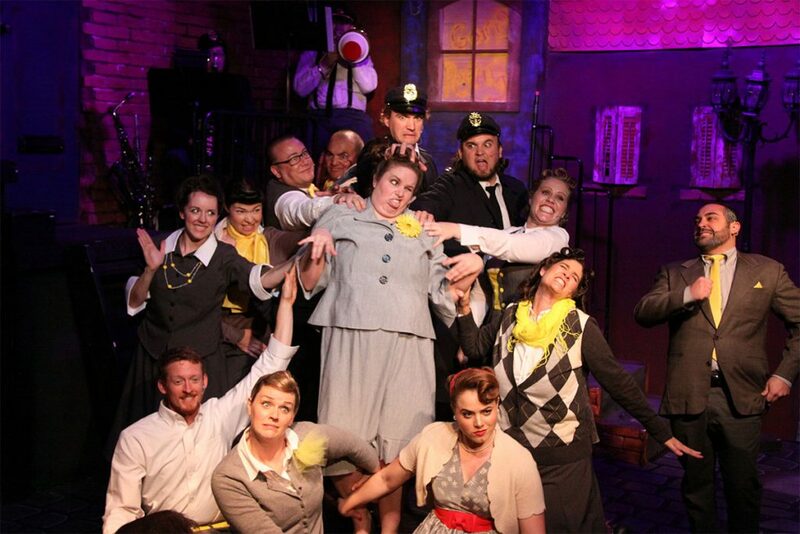 Urinetown is an earnest tale of love, greed, and revolution. The show is set in a town plagued by a 20-year drought, where water has become so scarce that private toilets have become unthinkable. At the mercy of a single dominating corporation who maintains a monopoly on the town’s public amenities, the destitute citizens must pay towering taxes and fines to carry out their most private and basic of needs. Out of the mass of the pitiable, a hero rises to lead his fellow citizens against the tyrannical regime. Drawing from West Side Story, Chicago, and Les Misérables among others, the show irreverently pays witty homage to the great American musical theatre tradition. 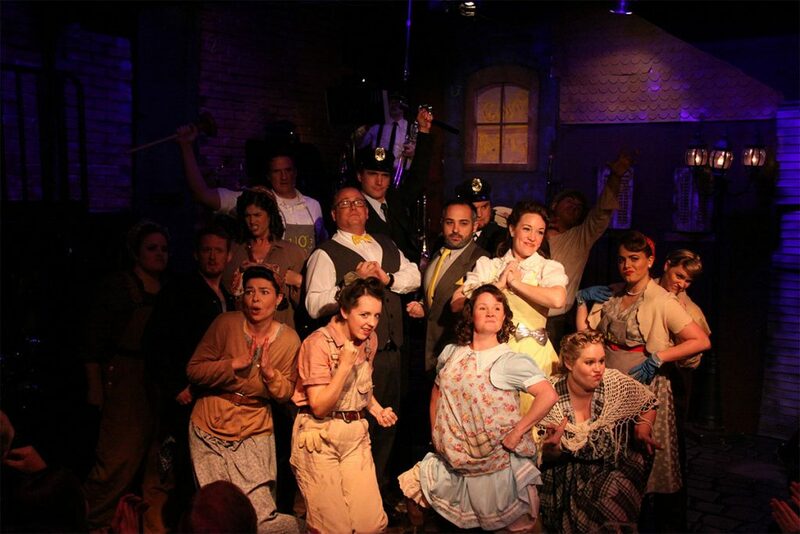 Hilariously funny and touchingly honest, come to Urinetown! Take a peak at the fun we had: Here, Here and of course Here! Urinetown was produced in November, 2014 in The Really Little Theatre. Fun Fact: Urinetown completely sold out before the first performance!